NOTE: Wanna know when is the best time to visit Antarctica? 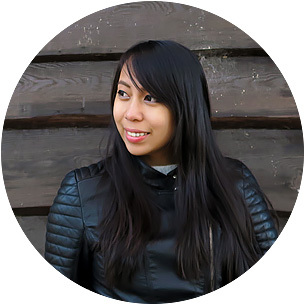 Read here for a complete list of FAQ (Frequently Asked Questions). This is certainly one of the experiences that everyone aims to do when they get to set foot in Antarctica! First and foremost: the penguins: there are 7 adorable penguin species that you can find in and around the continent, and I assure you, you will see them no matter the time or month that you come. Also, in order to not stress these incredible creatures, everyone is advised to keep a 5-meter distance but I guarantee you: given how curious the penguins are, there will be so many instances wherein they will voluntarily walk up to you! Other superb Antarctic animals that you can get up close to are whales and seals. During my adventure with Hurtigruten, I managed to see a big pod of finback whales aside from a couple of orcas and humpbacks. If you’re lucky, you can even witness more of them! Meanwhile, seals number a lot especially in South Georgia and there are 5 types in total which you will likely find in an expedition: crabeater, fur, elephant, leopard, and weddell. #2 – Witness almost a million of penguins! I suggest (or I insist) that you choose an Antarctic cruise that makes a stopover to the sub-Antarctic island of South Georgia (e.g. : Hurtigruten’s 20-day expedition). Why so…? Because if you land in South Georgia, you will have the best wildlife experience in your entire life — guaranteed! (Not to mention, the beauty of this island is truly unparalleled.) Besides, when you land in St. Andrew’s Bay, you’ll be blown away by the huge colony of king penguins that number at almost a million! Personally, it was an extremely surreal moment when I finally saw tons of these penguins huddled together whilst their chirping circulated through the air like a loud orchestra. In short: I’m pretty sure that this sight will leave a mark on you; therefore I dearly recommend that you put this high on your list of things to do in Antarctica! It’s not everyday that you can have the chance to go camping in the most extreme and southern place in the world — so when the opportunity presents itself, I urge you to give this a try! It won’t be the most comfortable camping escapade given the cold conditions and the strong winds in the continent, but it will surely make for a memorable exploit still. Rest assured, as long as you come with an IAATO tour provider, your safety will be guaranteed! 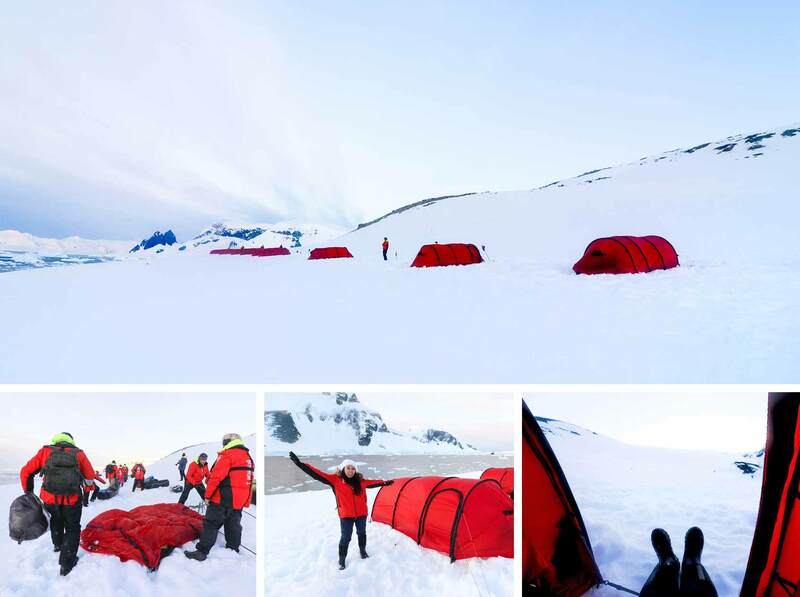 But if I say so myself, my camping experience in Antarctica was pleasant and warm, thanks to the high-quality assistance and equipment that was given to us by Hurtigruten. After you’ve explored the icy terrain and said hello to the penguins or seals as a part of your things to do in Antarctica, it’s time to explore the waters! Besides, kayaking is the best way to get super close to gigantic glaciers, icebergs and whales. Anyhow, no matter your skill level, it’s absolutely possible to go kayaking in Antarctica. However, it helps to remember to stay cautious — additionally, it helps that you’ve had prior experience of kayaking too since this activity will require a good sense of balance from you. Either way, the waters will be calm and there will be professional guides who will be with you at all times. Besides, your safety will always be of utmost importance, so no sweat! The South Shetland Islands are a group of islands in the tip of the Antarctic Peninsula (or the northernmost part of mainland Antarctica) and in there you will find the unique Deception Island because it is the caldera (volcanic ‘crater’) of an active volcano. Yep, you read that right — it’s the crater of an active volcano! How’s that for an amazing Antarctic adventure? #6 – Do a polar plunge! 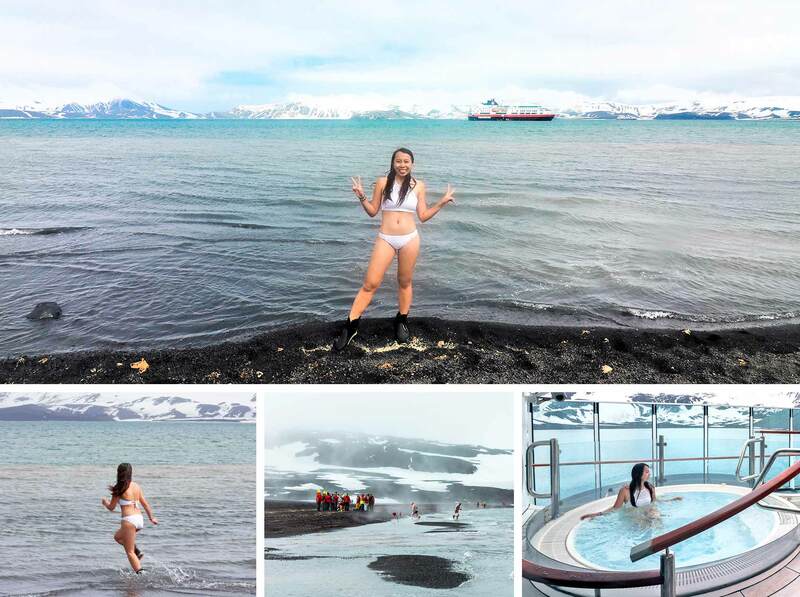 I mean… I was already in Antarctica AND I was even inside a volcano, so why not do the first polar plunge of my life in the freezing waters of this unique location?! …Aaah, I can still feel the chill! TRIVIA: There was a time when you can dig holes in the sand (since the sand IS warm in Deception Island) so you can enjoy a ‘hot spring’ by the bay; however, this is NO longer allowed under the Antarctic Treaty. Hence, people’s perception that there are hot springs in Deception Island is not true; and believe me, even if it was still allowed to do that, there is no way that your plunge won’t be cold. You can also do a polar plunge in Whalers Bay of Deception Island, but the upside of doing it in Pendulum Cove is that once you get back on the beach after your swim, you’ll get to enjoy brief moments of warm sand on your feet. (Of course I immediately dipped in the ship’s hot outdoor jacuzzi after my polar plunge — after all, I needed to remind my body how it felt to be warm again!). READ: Polar Plunge : The Day I Swam in Antarctica’s Icy Waters! You will definitely be given a lot of opportunities to go hiking or snowshoeing — not only in Antarctica but also in the sub-Antarctic islands that you will be stopping in (as dependent on your cruise expedition tour provider). NOTE: It is VERY important to wear shades or sunglasses while in Antarctica because there is such a thing as ‘snow blindness’. Don’t forget to put sunscreen either because the UV rays here are harsher than normal given its southerly location. When you’re a part of an Antarctica cruise expedition, there will be a lot of chances for you to go on extra or optional excursions such as going on zodiac or polarcirkel boat tours.These small yet sturdy boats are basically used to ferry people either ashore or on other kinds of adventures in order to get as close as possible to the scenes and wildlife around you. Simply put: this is one of the things to do in Antarctica that will bode well as an alternative for people who are not too confident with their kayaking skills. Don’t worry about the elements though because your cruise tour operator will make sure that you’re tucked in securely and that you’re wearing the right gear that will protect you from the harsh cold winds and water. Hence, all that you need to do is to stay alert and keep a look out for any penguins jumping up and down in the water, seals gliding in the water, whales popping out from their swim, and more! The Penguin Post Office in Port Lockroy is the world’s most southerly post office and it is typically run by a staff of 4 — humans; unfortunately, NOT penguins… but the post office IS surrounded by about 3,000 gentoo penguins! 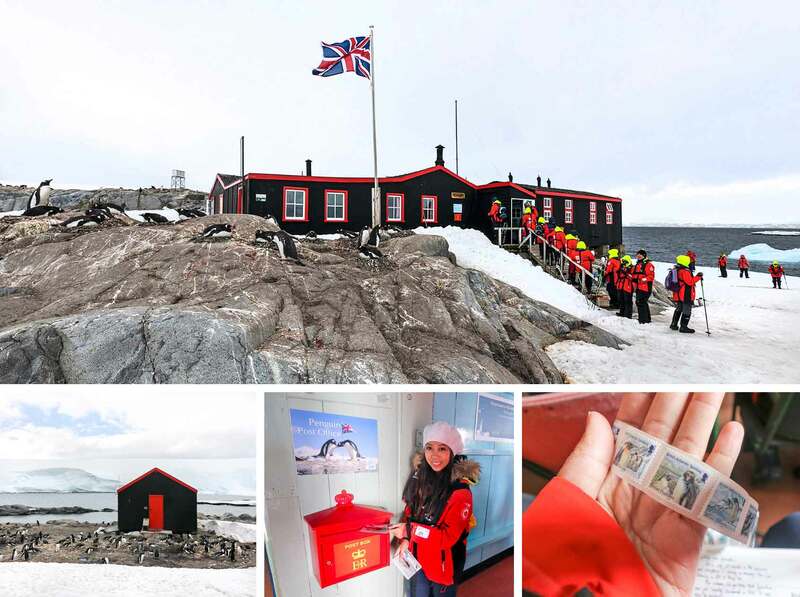 There might be some other stops during your cruise expedition where you’ll get to buy and send postcards from, such as the Arctowski research station in King George Island; but I say, Port Lockroy is the post office in this world that you shouldn’t miss as part of your things to do in Antarctica. Ultimately though, your loved ones will simply get the surprise of their life when they receive your postcards all the way from Antarctica! (The stamps here cost only $1 each and you can buy your postcards there or on your cruise ship). TRIVIA: During Operation Tabarin in 1944, the British set up two bases in the Antarctic Peninsula to establish a permanent presence in the Antarctic. They set up Base A at Port Lockroy and Base B at Whalers Bay, Deception Island. Since its restoration in 1996 by the Antarctic Heritage Trust (AHT), Base A on Goudier Island at Port Lockroy has become one of the most visited sites in Antarctica. It now operates as a museum, kept as it was in the 1950s, as well as a post office and souvenir shop with all proceeds going to the AHT, a non-profit organization dedicated to conserving this and other historical huts in Antarctica. Another option for reaching Antarctica is by plane but for sure, the most common way for visiting is by cruise ship. Speaking of which, I would suggest doing the latter because apart from it being cheaper, it will also give you a shot at experiencing the infamous Drake Passage! What’s up with this Drake Passage? Well, it is said to be world’s roughest seas given that it is where the Atlantic, Pacific and Southern seas converge. There aren’t any nearby landmass either so the currents here meet with NO resistance, resulting to it being the choppiest waters in the world. But of course, one’s exploit here can either be called ‘Drake Lake’ or ‘Drake Shake’ as dependent on weather conditions. For my case, it was somewhere in the middle: it was swaying more than usual, but it was manageable — nevertheless, it’s quite cool to have the bragging rights of crossing and ‘surviving’ this famous body of water. This is yet again another one of those things to do in Antarctica that I definitely enjoyed and was thankful for! You see, all IAATO operators are encouraged to provide ways of enriching and educating guests about the environment of Antarctica and its protection — so with ships like Hurtigruten, there were FREE educational programs or lectures available every day wherein everyone was free to participate or not. They let us learn more about the wildlife and the places we were visiting, and they were even delivered by the expedition team that was made up of expert geologists, marine biologists, historians, and ornithologists among many others! If I happen to have any specific requests, I was also always free to approach any of the staff scientists on board or on shore. With that in mind, doesn’t it just make a trip to Antarctica enriching? NOTE: Alternatively, you can go a step further and work in Antarctica as a scientist or support staff! A quick search online will take you to some job listings for this. Anyhow, it helps to note that there are more people interested in working in Antarctica than there are actual job openings available. Diving under Antarctic waters will be like no other dive out there, so if you’re a seasoned driver, this is an activity that you CANNOT afford to miss when in the ‘White Continent’. After all, it is said that with the combination of the sunlight and the ice formations, the water wonderland that you’ll see will have a constant shifting of spectacular colors! Regrettably… this isn’t something anyone can do because inexperienced divers will only be a danger to themselves and to others too. Even if the dive isn’t so technical, due to the unpredictable conditions, this is only limited to experienced or advanced divers. NOTE: To be a part of this diving expedition, you must be a trained and certified scuba diver with an internationally-recognized certificate, have prior adventures in cold water dives and dry-suit diving, have at least 20 dives, and a completed diver’s logbook. If you have the goal of climbing the world’s 7 summits, Antarctica’s Vinson Massif is a peak that you’ll have to concur. 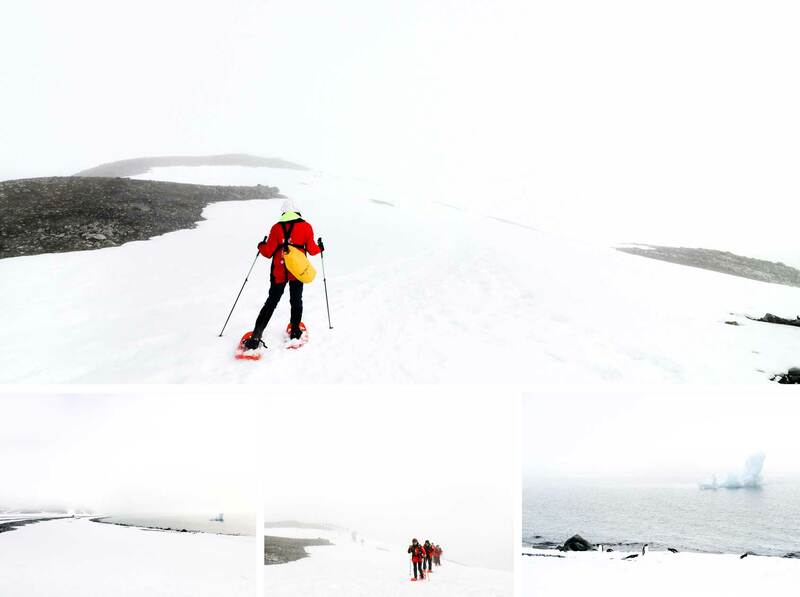 Technically speaking, it’s not so difficult to go up this 4,897-meter mountain but given the extreme Antarctic environment, you would need to have reasonable experience and training beforehand. Called as the “top of the bottom of the world”, there are several tour groups offering the service of taking you on this expedition which takes at least 14 days. Needless to say… this is an adventure I’m unqualified for — but, I still wish that someday I will be able to do it because I’m sure it will be such an amazing endeavour! If time is not an issue and you’ve got grand polar ambitions of going to both ends of the Earth, there are companies out there that do treks to the South Pole. But a word of caution: if you think that scuba diving and climbing Vinson Massif as things to do in Antarctica are already extreme, then trekking to the South Pole will be far crazier. Besides, this expedition will require a humongous amount of commitment — emotionally, financially and physically (and there’s even a chance you might not reach it). Yet of course, if you’re up for the challenge, this will be a journey that will be a memorable achievement! If you’re a marathon runner or ultra athlete who’s looking for the next big challenge or activity to tick off on their list, then the famous Antarctic Ice Marathon should be put under your radar! It will be a formidable race on the continent with an average windchill temperature of -20C and an altitude of 700 meters but you bet that it will be a unique and fulfilling feat. NOTE: Registration fee is about $18,000+ inclusive of roundtrip flights to the Antarctic interior, accommodation, food, running paraphernalia and photos. It’s also possible to do a half marathon during this event. #16 – Hit the slopes! If what you want is the ultimate snow-sports expedition, nothing beats exploring Antarctica by skiing or snowboarding on its grand slopes! Nowadays, there are several Antarctic tour operators that gives skiing enthusiasts the chance to do a bucket list activity in this remote location. Now of course, to be a part of an adventure like this, you don’t really need to be a pro athlete — but you will need to at least have a reasonable level of fitness, some prior training, and capability in ski touring. Similarly, snowboarding is something that you can do too while you’re exploring the wild corners of Antarctica! There are no permanent residents in Antarctica and there are only two transient groups that go there: either tourists or researchers. Speaking of which, as a tourist to the ‘White Continent’ you can get to have the exclusive chance of visiting some of the active research stations on the continent! Henryk Arctowski Polish Antarctic Station: one of the most visited scientific stations, mostly because it is readily-accessible and that the Polish staff are friendly. Established in 1977, the station is managed by the Polish Academy of Sciences and its main research areas include marine biology, oceanography, geology, geomorphology, glaciology, meteorology, climatology, seismology, magnetism and ecology. Visitors are free to come in and talk to the scientists; plus, the station’s official stamp is available for use by anyone on their passport or on postcards. Vernadsky Research Base: Found in Marina Point on the Argentine Islands, this Ukrainian Antarctic Station has several buildings, but the most famous part of them all would be their lounge which is considered to be the southernmost public bar in the world! People used to have the chance to purchase a $3 shot of horilka or a Ukrainian alcoholic beverage here, but it ended in 2016. Anyhow, you can still mingle with the amazing Ukrainian scientists on site and have a tour of the whole base. Lemaire Channel is an 11-kilometer strait (or a naturally-formed navigable waterway) in Antarctica that is often called as the “Kodak Gap”. As you might already know, “Kodak” is one of those famous film brands and the reason why Lemaire Channel was nicknamed as such is because this place is just so ridiculously photogenic. I swear, when we passed by this strait’s calm waters, we could NOT stop taking pictures of the snow-capped mountains, steep cliffs and icebergs that surrounded us! As one of Antarctica’s top tourist destinations, going through this channel is a standard part of a cruise itinerary, but the only hindrance to possibly seeing it are the icebergs in the water — if they’re too many, you might not be able to pass! However, if you get to do so, it will absolutely be a sight that you will forever remember. This was actually the last landscape that we saw in Antarctica and it was surely a great way to end our journey! It’s absolutely difficult to take a bad photo in Antarctica — it’s just so photogenic, no matter the weather or the time! So go and snap away crazy; but indeed, if you want to improve your skills, this will be the best place to start. After all, most cruise tour operators (such as Hurtigruten) provide photography classes that are handled by their on board professional photographer. As such, this will give you the perfect opportunity to hone your skills! Don’t worry though because anyone is certainly free to approach thee said photographer to ask for tips on capturing the best shots possible. Ain’t that a treat as one of the things to do in Antarctica? If you ask me, it will be a shame to visit Antarctica without stopping by some of its Antarctic and sub-Antarctic islands. Therefore, if you get the chance to go to this far off destination, you must surely take the opportunity to stop by some of the places like the Falkland Islands, South Georgia, South Orkney, and more! For instance, you can enjoy the gorgeous landscapes in the Falkland Islands that are filled with penguins of different species as well as other wild birds. But I guess the island that I love the most would be South Georgia because of it rugged yet stunning vistas! Not to mention, it holds several colonies of fur seals, elephant seals, and king penguins. (As I’ve already mentioned previously, it was here that I got to see a colony of king penguins that numbered almost a million and it was truly a spectacle!). READ: South Georgia : A Breathtaking Antarctic Hub for Wildlife Viewing! Antarctica is inaccessible to tourists for the majority of the year due to its extreme conditions — it IS called as the world’s coldest and windiest place after all. In fact, winter temperatures can fall up to -70°C (it even reached -94.7°C back in 2010 and -89.2 in 1983) and that comes together with 24 hours of darkness too! Nevertheless, things get better during the summer season between November and March when the ice starts to break and the temperature gets warmer; hence, cruise expeditions are run during this time of the year and most landings are done at the tip of the continent along its west coast. The temperatures there average at only about 0°C to 8°C (with close to 24 hours of sunlight). NOVEMBER: This is said to be the time when you will see Antarctica in its most ‘untouched’ form! Icebergs are at their biggest, snow is pristine, and the penguins start to mate (with them laying eggs at the end of the month in their nests). However, the temperatures are still quite cold and polar ice is still breaking up so the downside of traveling to Antarctica in this month is that you might not be able to access some areas. Moreover, wildlife such as whales and penguins are more difficult to spot. DECEMBER to EARLY FEBRUARY: December is said to be the BEST month for traveling to Antarctica. As the continent starts to warm up, it creates the perfect conditions for seals, penguins and whales — therefore, wildlife is a lot easier to find (including the cute little seal pups and penguin chicks who have just been born). Whales, in particular, are best seen in February. Also, since these are some of the months wherein there is more hours of sunlight, you’ll have plenty of opportunities in the day to take wonderful photos. MID-FEBRUARY to MARCH: There are several pros and cons for visiting during this time of the summer season. Let’s start with the cons: temperatures start to get a bit colder, most wildlife would have already went out to sea, and landings will tend to be rockier and muddier. But for the ‘pros’: whales are still abundant for spotting, the penguin chicks are larger and starting to ‘molt’ (or shed their fur), and there are lesser vessels (so there’s less competition for landings). For my case, I landed in Antarctica sometime in early to mid-December with Hurtigruten’s 20-day ‘Ultimate Antarctica Experience’ and I’ve seen a lot of different penguins, whales (orca + finback + humpback ones), seals, glaciers and massive icebergs. There were no problem with landings nor was there any competition (we were the only ship around during the days of our visit). Weather was also perfect averaging at about 2°C to 5°C, so I didn’t wear too much layers; at one point, I even sweated a lot when we were hiking up a hill! The winds were still pretty strong though and there were times that it was cloudy; but for the most part, we had great sunny weather. All in all, it’s best to remember that every trip to Antarctica is unique. No matter if your friend went on a different trip in the same month and same cruise as you do, the experiences you’ll both have will most likely be dissimilar because every voyage will depend on ice and weather conditions. This means that there can be days where you will experience and see amazing things that some others might not (if you’re lucky!). For example: our ship sighted about 50 humpback whales while we were on our way to the Antarctic Peninsula and they say that this occurrence was quite rare in December! What are ways to get there? By cruise ship. This is the MOST common way to visit the Antarctic and to date, there are over 80 companies who belong to IAATO (International Association of Antarctica Tour Operators). The cruise can start and end from any of these locations: Ushuaia in Argentina, Punta Arenas in Chile, Bluff in New Zealand or Hobart in Australia. 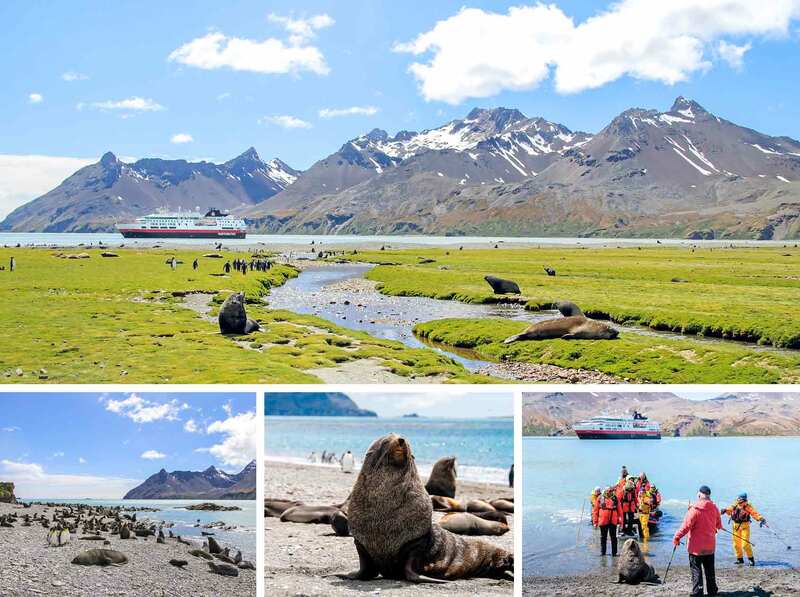 Depending on the provider, the length of the trip, and the kind of cruise expedition that you pick, you can do additional activities or excursions in the Antarctic, as well as visit other Antarctic and sub-Atlantic islands along the way. It helps to note though that the size of the ship matters: in general, smaller ships are preferred because they can go to more places and do more landings. …Why more landings, you might ask? Well, according to IAATO guidelines, there can only be 100 people at a time on land — so, if your boat has more than 200 people, you might just spend only a few hours on the shore. With this, I highly advise that you go for Hurtigruten’s MS Fram ship, which is a small yet strong vessel that carries about 200 guests. This was the ship that I went with and every day, we did at least 2 landings to different locations (which was also packed with optional excursions like kayaking, camping, zodiac excursions, hikes, and others). By plane. There are 3 ways to do this: you can do a  ‘fly over’, a  direct flight, or a  fly-cruise option. First, as the name implies, a ‘fly over’ will just be a sightseeing flight wherein you will be above the continent for hours as you admire the views. This kind of flight only takes off from Australia and it will cost from $1,000 to $8,000. Second, direct commercial flights can be done from Argentina, Australia, Chile or South Africa — but they can be quite rare. (A quick Google search will lead you to some providers who schedule flight trips to the continent.) Lastly, the fly-cruise option will just cut your time on a cruise ship (to avoid the rough Drake Passage, for instance). These flights will take you to places like King George Island where you will then board your designated ship. Most of the time, prices for this start at $10,000 and departs from Chile. What locations will you typically visit or see on a cruise? Like I’ve already mentioned, it will depend on the time, the cruise provider, and the expedition that you pick. For a start though, tourists from cruise ships will mainly visit either the Antarctic Peninsula (the northernmost part of mainland Antarctica) or the Ross Sea area (a deep bay which is the main destination of cruise ships leaving from Australia and New Zealand). Apart from this, you can visit other Antarctic and sub-Antarctic islands too. For my journey with Hurtigruten’s 20-day ‘Ultimate Antarctica Experience’, aside from landing in the Antarctic Peninsula, I also got to land in the Falkland Islands, South Georgia (the best widlife hub! ), Deception Island, Half Moon Island and Cuverville Island. Do I need a visa to go to Antarctica? EXAMPLE: If you booked via a cruise ship, permits are covered by the cruise company that you’re going with. If visiting by air, you must check with your local government or airline if you have the right paperwork. If in doubt, you could always ask your Antarctica tour operator. There is a LOT to take note of: from seasickness medicine to the proper clothing. For a complete list, read this comprehensive article: Antarctica Cruise Packing List. What currencies should I bring? NOTE: If you want a complete list of FAQ (Frequently Asked Questions) for Antarctica cruise expeditions, read here. There definitely are an array of activities in Antarctica that will cater to just about any kind of traveler. All in all, I hope this list helped give you a better idea of what the continent can offer so that you could soon jumpstart on your epic adventure. Enjoy! What do you think of the above things to do in Antarctica? What are the activities you’d like to try? Or have you been to Antarctica before? How was it? You defo took on the ultimate adventure here....very jealous and a great post! Aw,I hope you check this off your list then! Great, Experience you shared Antarctica trip and you recommend the great destination to enjoy here. These are the best things which we should do while we are planning trip to Antarctica. Thanks for sharing that engaging post.